The meeting was called to order at 7:00 p.m. by Chairman Mycko. Selectman Scalley made a motion to approve the minutes of December 18, 2017. It was seconded by Selectman Bussiere and passed unanimously. Imre Szauter, Chair of the Building Committee, reported on the Committee�s activities and started by saying it is good news that a business in the community is making a large investment and also that there will be a reduction in local education taxes of $.35 for each 2018 and 2019 with the closing of the Jefferson School. He said at their meeting on January 4, they focused on the budget and financial aspects, including sources for grants and rebates. They also discussed the informational session planned for January 18, and reviewed newspaper articles they felt would be of interest to our town on the expansion plans at Bretton Woods, the closure of the Elementary School in Jefferson, plans for a new fire station in Lisbon and information on our project. Mr. Szauter said the brochure they had been working on titled �Proposed Municipal Building Project Report of Findings� was completed and was to be mailed to 552 registered voters this date. Extra copies will be available to be put at various places throughout town. Mr. Szauter said that Project Manager, Allan Clark, developed a total project budget on which the Committee unanimously recommended the change to $3.95M (from $3.75M). Mr. Clark has been in contact with several reputable construction managers soliciting estimates of the project�s costs based on the preliminary specifications and conceptual plans developed by the Committee. Mr. Szauter noted the Committee had spent $2,236.45 from their expense line, with $57 encumbered for the ad placed for the fourth informational session; and $31,500.61 from the Warrant Article account. The Committee�s next meeting is Thursday, January 18, to finalize plans for the informational session that evening. Mr. Szauter invited all to attend their Fourth Informational Session at 7 p.m. that evening, January 18, in the Town Hall. He noted they will have copies of the brochure and handouts on the project�s budget, financial options and property tax implications. The Selectmen thanked Imre Szauter for the great job he has done on the Building Committee. �To see if the Town of Carroll will vote to raise and appropriate Three Million Nine Hundred Fifty Thousand Dollars ($3,950,000) (gross budget) for the purpose of financing the design, construction, and equipping of a new public safety services building (to include police, fire, and rescue departments, and emergency management services) and a new town hall/administration building project (to include town administrative offices, town library, space for the historical society, food pantry, community room and any other similar functions or services deemed necessary by the Board of Selectmen) to be located on 13 acres of Town-owned land on US 302 (Map & Lot 206-018-000-000) and to relocate current services to the new buildings; to authorize the issuance of bonds or notes for the project in accordance with the Municipal Finance Act (RSA 33) in the amount of Three Million, Seven Hundred Thousand Dollars ($3,700,000); to authorize the Board of Selectmen to issue, negotiate, sell and deliver such bonds or notes and to determine the rate of interest thereon and the maturity and other terms thereof; to authorize the Board of Selectmen to apply for, obtain, accept and expend any federal, state or other aid, grants, rebates, gifts or other revenues as may become available for the project and to comply with all laws applicable to said project; to authorize the Board of Selectmen to take any other action or pass any other vote relative thereto; to authorize the withdrawal of the sum of Two Hundred Thirty Thousand Dollars ($230,000) from the New Land and Building Capital Reserve Fund for use on this project; and to authorize the withdrawal of the sum of Twenty Thousand Dollars ($20,000) from the Library Improvement Capital Reserve Fund for use on this project. (3/5 ballot vote required).� The Selectmen vote to recommend was 3 to 0. �To raise and appropriate as an Operating Budget, not including appropriations by special warrant articles and other appropriations voted separately, the amounts set forth on the budget posted with the Warrant or as amended by vote of the First Session, for the purposes set forth therein, totaling sum of $1,937,843. (One Million Nine Hundred Thirty Seven Thousand Eight Hundred Forty Three Dollars). The Transfer Station/Recycling Center Budget will be offset by $20,000 from the Recycling Special Revenue Fund established in 2001. The Selectmen recommend this 3 to 0. The Selectmen recommend 3 to 0. Should this article be defeated; the operating budget shall be $1,877,869 (One Million Eight Hundred Seventy Seven Thousand Eight Hundred Sixty Nine Dollars) which is the same as last year, with certain adjustments required by previous action of the Town or by law; or the governing body may hold one special meeting, in accordance with RSA 40:13, X and XVI, to take up the issue of a revised operating budget only. �To see if the Town will vote to raise and appropriate $5,505 (Five Thousand Five Hundred Five Dollars) to replace three (3) complete computer workstations and installation of same for the Town Clerk/Tax Collectors Office and the Selectmen�s Office, to replace one workstation installed in 2010 and two workstations installed in 2013, and to authorize the withdrawal of these funds from the Computer Technology Capital Reserve Fund established for this purpose. No money to be raised by new taxation.� The Selectmen recommend 3 to 0. �To see if the Town will raise and appropriate the sum of $2,000 (Two Thousand Dollars) to donate to the Tyler Blain House, Lancaster, NH, one of the only homeless shelters in northern NH.� The Selectmen do not recommend this 2 to 1. �To see if the Town will vote to raise and appropriate the sum of $356 (Three Hundred Fifty Six Dollars) as the Town�s contribution to the American Red Cross.� The Selectmen do not recommend this 2 to 1. �To see if the Town will vote to raise and appropriate the sum of $500 (Five Hundred Dollars) for Court Appointed Special Advocates (CASA) of NH for recruiting, training and supervising volunteers who advocate in NH�s courts for the best interests of abused and neglected children.� The Selectmen do not recommend this 2 to 1. 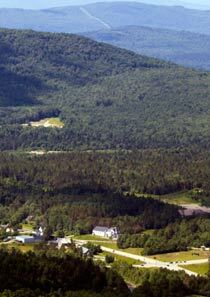 �To see if the Town will vote to raise and appropriate the sum of $923 (Nine Hundred Twenty Three Dollars) as the Town's contribution to the Northern Human Services - White Mountain Mental Health and Common Ground, a non-profit mental health and development service center.� The Selectmen do not recommend this 2 to 1. �To see if the Town will vote to raise and appropriate the sum of $830 (Eight Hundred Thirty Dollars) as the Town�s contribution for Tri County Community Action Program in support of their services for residents in our community.� The Selectmen do not recommend this 2 to 1. �To see if the Town will vote to raise and appropriate the sum of $350 (Three Hundred Fifty Dollars) as the Town�s contribution to help offset the costs of the Senior Meals Program run by Tri-County CAP, Inc., North Country Elder Programs for elderly residents in our community.� The Selectmen do not recommend this 2 to 1. �To see if the Town will vote to raise and appropriate the sum of $500 (Five Hundred Dollars) to help support The Center for New Beginnings in Littleton, which provides counseling and mental health services to individuals throughout the North Country. The Center for New Beginnings provided services to 11 individuals Carroll residents in 2016.� The Selectmen do not recommend this 2 to 1. Discussion took place on a possible warrant article that may be put forth from the Select Board: �To see if the Town will vote to rescind the current building permit/building process adopted at the Town Meeting vote in 1976.� The Secretary said she received it too late to check with anyone, but thought having to do with the Zoning Ordinance, it may require following the procedure for ordinances including a public hearing, and for which it is beyond the deadline. It was also stated that the Planning Board is working with Tara Bamford on the Ordinance and this would probably be part of that. The Board asked the Secretary to check to find out if it is a legal article and if not, if we can put it in the warrant as �advisory� to maybe get a feel of what the people want. Purchasing the land on Little River Road on which one of the town�s water tanks is on was brought up, as it was offered for sale to the town some time ago. This land is actually in Bethlehem, so the Board asked to find out if we would pay taxes to Bethlehem on it and if we currently pay taxes on the tank. It was also asked if the Board wanted to do anything with the Mt. Washington Regional Airport and the general consensus from the Board as well as the attendees was that there is no interest at this time. The Secretary was asked to remove all Follow-Up Items as they have either been resolved or will have to wait until after Town Meeting in March. Selectman Scalley said he would like to offer a special thank you to Greg Hogan for the extra effort on Saturdays so the buildings wouldn�t freeze up. Greg said he needed to give thanks back to Dave Scalley for the loan of the vehicle and tank which allowed him to get oil into the buildings before they froze up. They discovered some of the buildings had run out of oil so the heat had gone off, but Greg said there were no significant issues as they caught them in time. The Secretary said the earlier warrant article for computer workstations is only for three in spite of the fact that she also needs one, but because of the way hers has been acting, they�re not sure how much longer it will last. Thus, she asked the Board if they would approve the purchase of one for her now and to approve for the payment from the Computer Technology Capital Reserve Fund. The Secretary showed the Board the quote and Selectman Bussiere questioned some of the items. Chairman Mycko said from his experience he felt it was good. Selectman Scalley made a Motion to: Approve the payment for the new computer from the Capital Reserve Fund. Chairman Mycko seconded and it passed with 2 yeas and 1 abstention. The Board was polled to go into non-public session, per RSA 91-A-3 for Legal at 8:15 p.m. Chairman Mycko, yes; Selectman Scalley, yes; Selectman Bussiere, yes. At the close of non-public session at 8:54 p.m., Selectman Scalley moved to return to public session and seal the minutes from non-public session. Selectman Bussiere seconded and the Motion passed. There being no further discussion, Selectman Bussiere made a Motion to adjourn the meeting. Selectman Scalley seconded and the Motion passed unanimously. Chairman Mycko declared the meeting ended at 8:55 p.m.